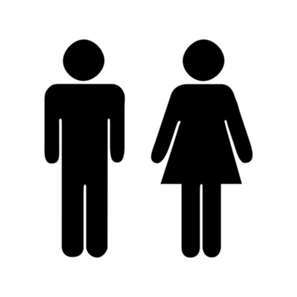 A new study published in Neurology is driving lots of press coverage about gender differences as they pertain to subtle memory loss. In the past, studies on the prevalence of dementia, a much more severe condition than subtle memory loss, have shown that incidence increases with age. Given the relatively longer life span of women, there has been no surprise that a higher percentage of women eventually become demented compared to men. This knowledge contributed nothing to the question about whether or not there is a gender difference at earlier symptomatic stages of decline. In other studies, it has been clearly established that cardiovascular health is closely linked to cognition. Higher rates of hypertension in men suggested that direct gender comparisons would need to adjust for this confounding information before drawing conclusions. However, it is difficult to quantify the specific cognitive impact across a range of vascular factors and other demographic variables, so little could be concluded about absolute gender differences. Now, in a study of 2000 seniors, researchers at the Mayo Clinic have made a puzzling discovery. Men seem to be about 50% more likely than women to suffer from mild cognitive impairment, even when accounting for age, education, and cardiovascular health factors. This surprising finding cannot be attributed to differences in longevity or incomparable levels of vascular risk. If these findings are duplicated and substantiated, they may suggest important, gender-based differences in cognitive health. Ultimately, this could point the way to promising new avenues of research in the quest to understand and treat degenerative disorders like Alzheimer's disease. It's very interesting. Thanks to the author.